August 23, 2017 By Chelsea T.
Who doesn't love a good ghost story? Well, in Alaska, there's a whole lot of them! From hospitals and asylums, to cemeteries, schools, theaters, restaurants, parks, bridges, and even roads, there's an endless amount of places throughout the state that are said to have some ghostly spirits lingering. Some of these creepy spots are located in the biggest of cities that everyone knows about, and others in small towns that only locals may know of. 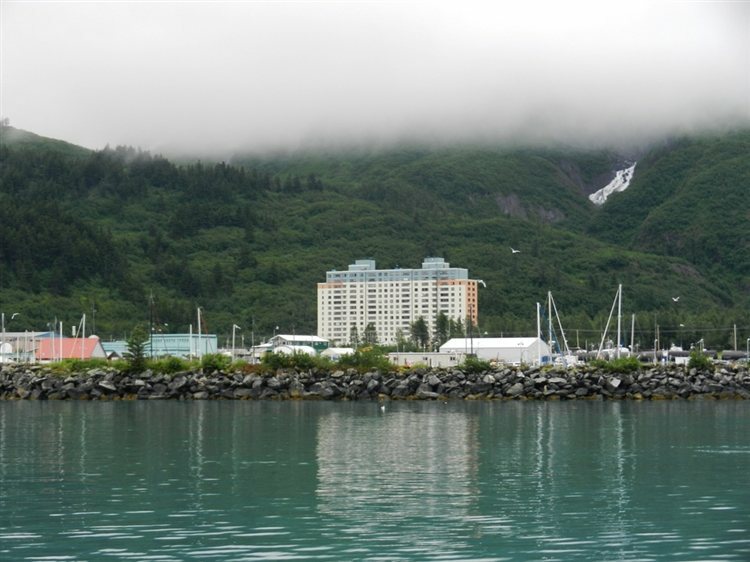 Take a peek below to check out our Top 10 Haunted Places in the state of Alaska! 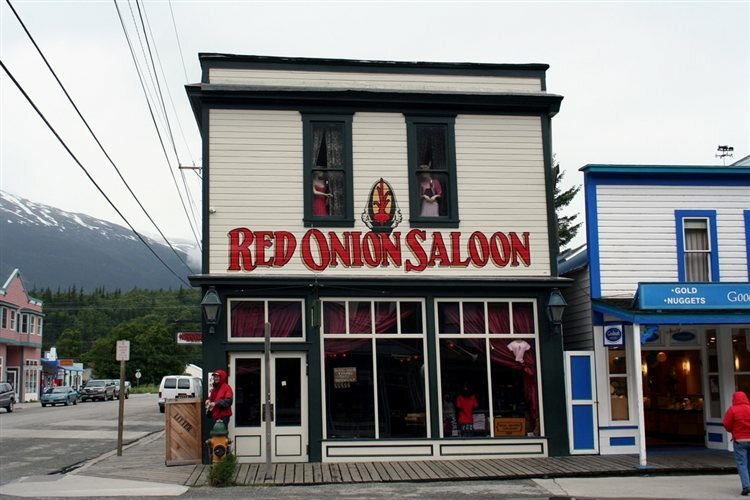 The Red Onion Saloon is located at 205 Broadway in Skagway and operates as a seasonal bar that also features a brothel museum. Dating back to 1897, the saloon was built as a bordello that is rumored to be haunted by a number of ghosts. The second floor is where the paranormal activity occurs, where witnesses have reported cold spots, disembodied footsteps, the strong scent of perfume and a shimmering light. There's also a ghostly woman who takes care of the plants on the second floor and another female presence that doesn't seem to care much for men. 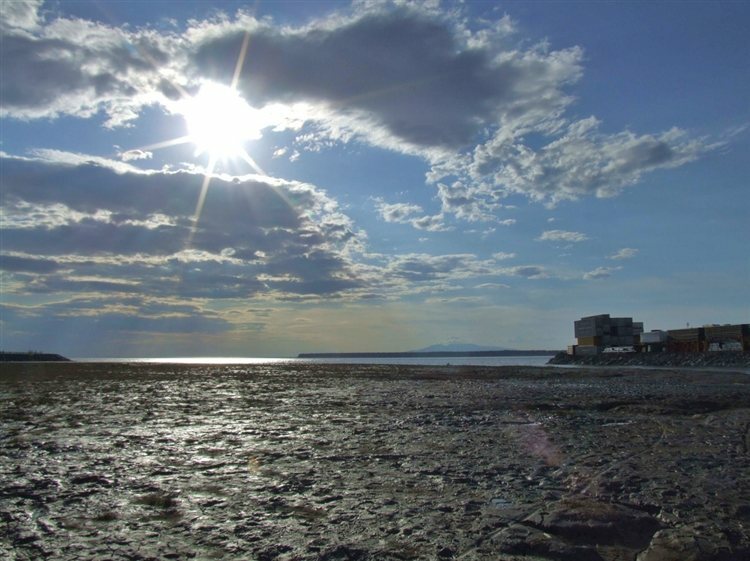 This Alaskan river flows from the Chugach Mountains into Cook Inlet and is believed to be haunted by the ghost of Marie, a Native American who was murdered here in 1987. 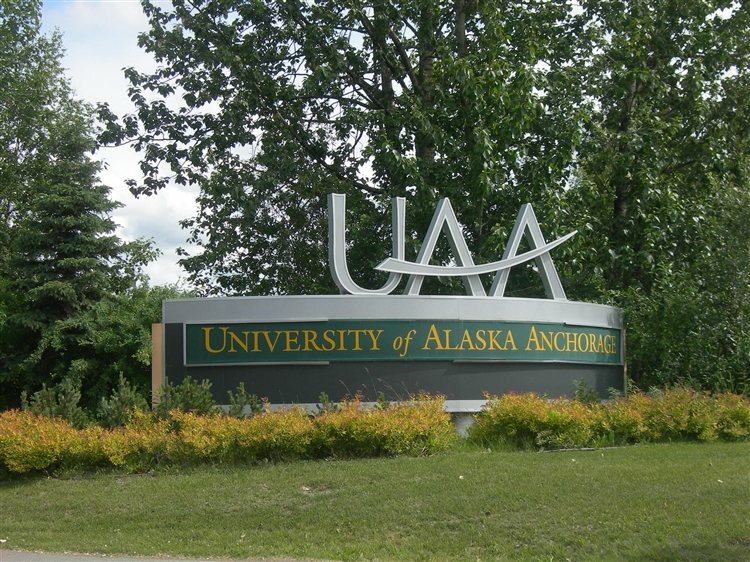 She is said to most often show herself to homeless Alaskan natives and warm them and is usually spotted between the old ANS Hospital and the old Alaska Railroad Terminal. 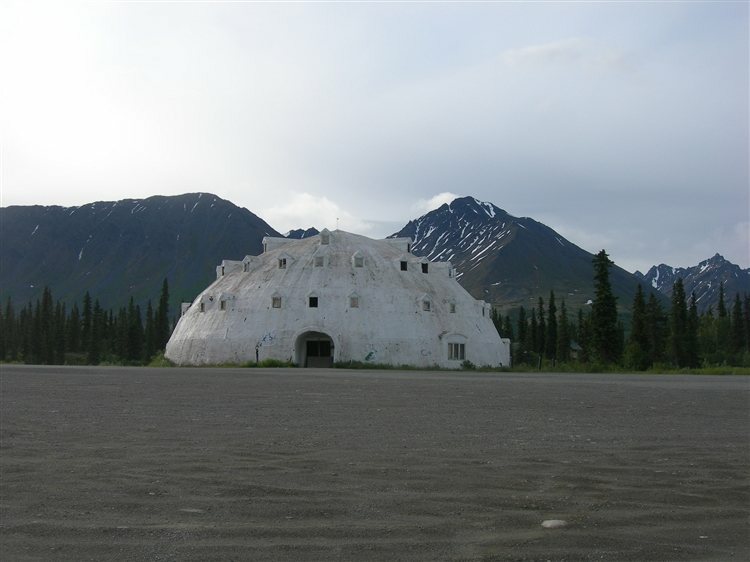 Fairbanks Memorial Hospital is rumored to be one of Alaska's most haunted spots. Haunting reports at the hospital include angel apparitions and the sounds of babies, and some have reported cold chills and temperature drops as well. Angels are said to appear when a baby is near death in the nursery. Cantwell's Igloo City Hotel is no longer in operation and stands abandoned but is still said to be a hot spot for paranormal activity. 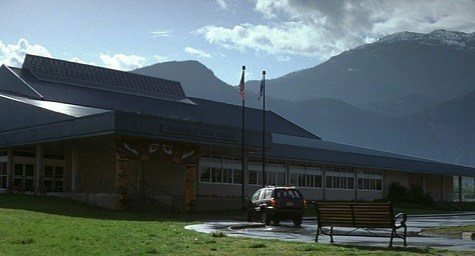 Located on an isolated section of the Parks Highway, witnesses have reported driving past the hotel late at night and seeing strange lights inside or a woman's apparition in white standing at the windows. Nightmute High School is known to be haunted by a young girl who likes to wander the halls and hum. She has been spotted by both students and staff members and appears in the girls and boys bathrooms, turns the lights on and off, and bounces balls. She is mostly in classroom 106, which is believed to have been built over a grave. 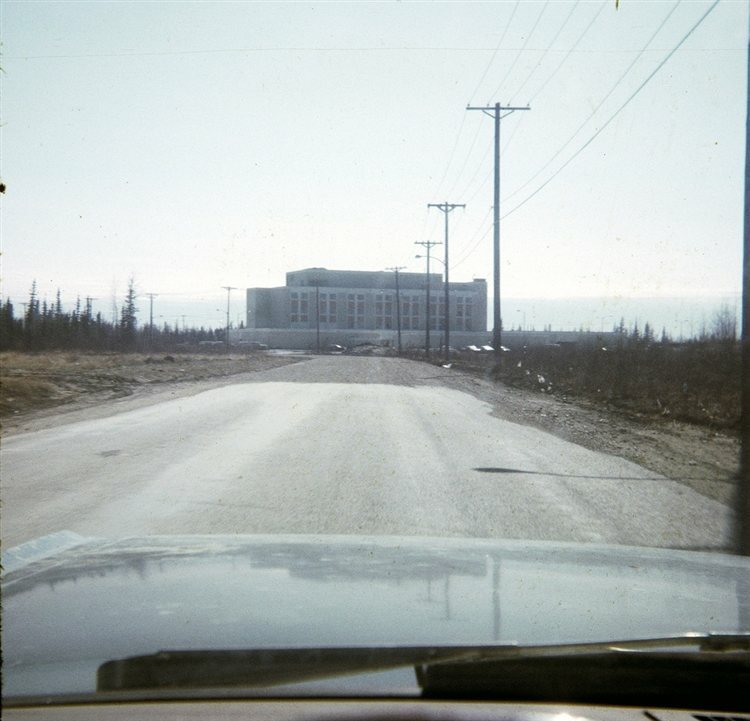 Incorporated in 1974, the Begich Towers are condominiums in the small town of Whittier. 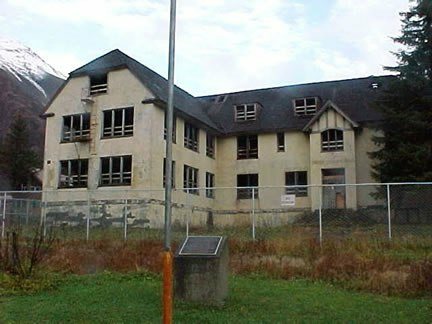 The building was originally built for servicemen and their families in the 1950s, and is said to be haunted by a shadowy apparitions that roams the halls at night. The sounds of strange voices, rattling of chains and whistling have also been heard. Known as "The Wendy," this theater is said to be haunted by several spirits, including a ghostly lady in white who likes to play pranks in the lighting booth. There is also a spirit of a man who pushes females down the stairs. The historic Motherlode Lodge in Palmer is home to more than just one ghost. Witnesses have spotted a misty black apparitions wandering the grounds of the lodge, and some say when they look into mirrors, they see figures in period clothing standing behind them. Knocks and loud banging sounds have also been heard, as well as a little girl's voice. Doors and curtains were also said to have opened and closed on their own late at night. The Jesse Lee Home for Children opened its doors in 1926 and is a former home for displaced children. According to Wikipedia, it was operated by the United Methodist Church since it opened, until the building suffered damage from a 1964 earthquake and operations were relocated to a new building in Anchorage. It was added to the National Register of Historic Places in 1995 and is said to be haunted by the dozens of children who died here during the earthquake. Eerie sounds have been reported, including children giggling, jumping rope and running around. 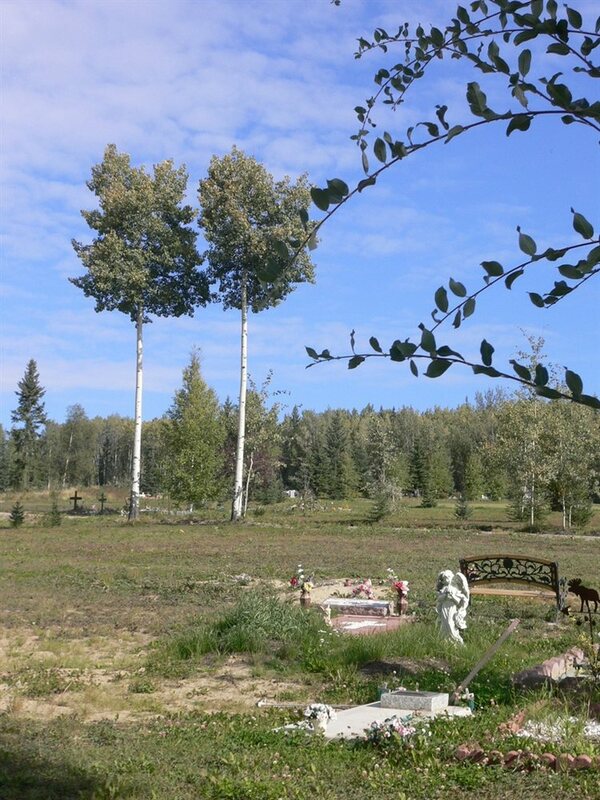 Although most cemeteries are creepy to begin with, the Birch Hill Cemetery in Fairbanks is said to be haunted by a young girl in an early 1900s white dress, a floating black figure, and a little boy who is dressed is 1930s-style clothing. 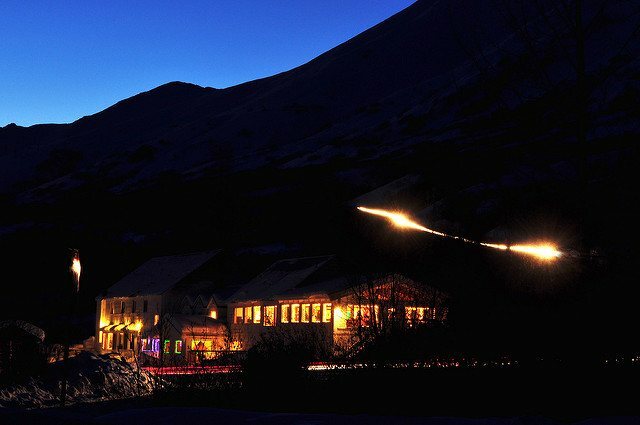 Have you ever visited these Haunted Places in Alaska? If so, let us know in the comments below!